Mazda BP Valve spring Info - Miata Turbo Forum - Boost cars, acquire cats. I took some time and checked out some valve springs for the Mazda 1.8 BP engine. For a base line I checked the SBI catalog. I started off by checking 8 valve springs from 2 different heads. When the factory .020 spring seat was used they came up to 40-43 lbs. So close enough to be put back into use for a stock rebuild. I know the ST is widely used on this fourm. The ST is a bit light, when the math is done, Keep in mind ST supplies a .250 thick spring seat. This is a bit off still, due to the inner spring not being fully compressed from the Ti retainer not being installed. At this time, I have not checked the ST Ti retainers against a stock retainer to see if they step up or not. Now on to the Brian Crower valve springs. That is a bit high, so I need to drop some seat pressure. I get 80lbs on the valve seat. I like this for a boosted application. If I add a .015 thick shim, I will have 84lbs on the seat. Since these are a cost effective spring, that does not require a custom spring seat and will work with the stock retainer, I can see this set up going into use on a wide range of builds. What's the difference in price? 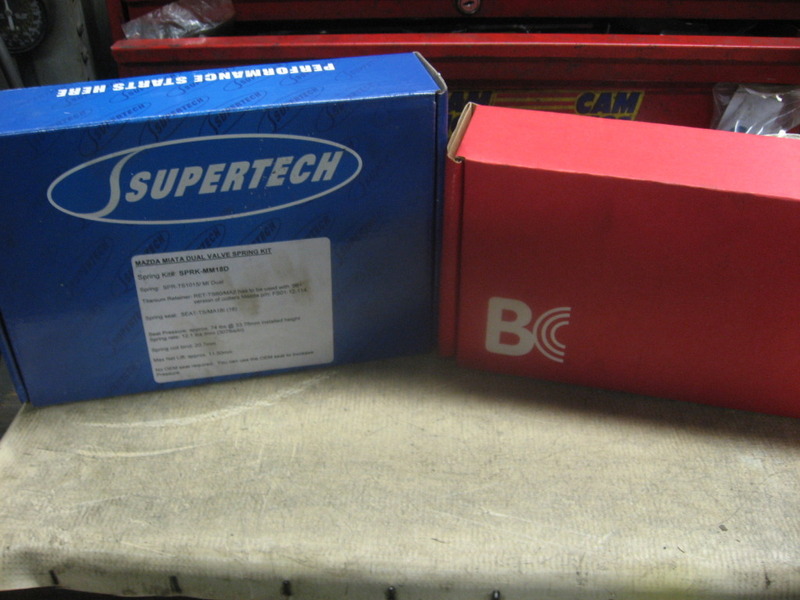 I've not heard of BC, and I think the bias tword SuperTech around here comes from brand recognition more than anything else. One question and a couple of notes. So you're basically doubling the seat pressure from stock? You can look it up in your books, but I had heard that the earlier Miata engines, maybe 1.8 94-97 had slightly stiffer valve springs. 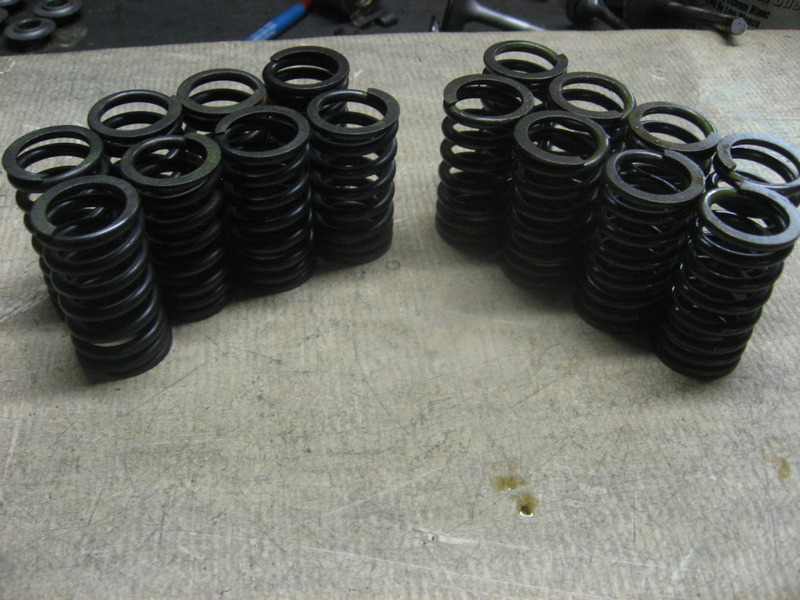 I had also heard that volvo b20 engine valve springs were used as a hi-po upgrade. I use a ton of the BC springs on the 4g heads I build. So I was talking to them one day and wanted to find a budget spring of sorts for the Mazda, so I gave them the spring specs from a used BP spring, and found these. I still need to check how the shims and springs fit on the head casting, from all I have checked to this point, it looks to be a solid set up. Keep in mind that when the engine is boosted, the valve spring is given a second job, the spring now has to keep the valve closed against boost pressure. Figure that there is 1 sq/in of area on the back side of the intake valve, now add 20psi of boost, you loose 20lbs of spring pressure just keeping the valve closed. Ill check my books and look into the springs you mention. Last edited by BogusSVO; 01-15-2013 at 07:01 PM. Roger that. I was just trying to throw out some information as it seems like you love knowing everything there is to know about what you're working on. Do you have a part number for the BC springs? The question I always wanted to know is how do you calculate the desired seat pressure for valvetrain weight, camshaft specs, and rpm range? 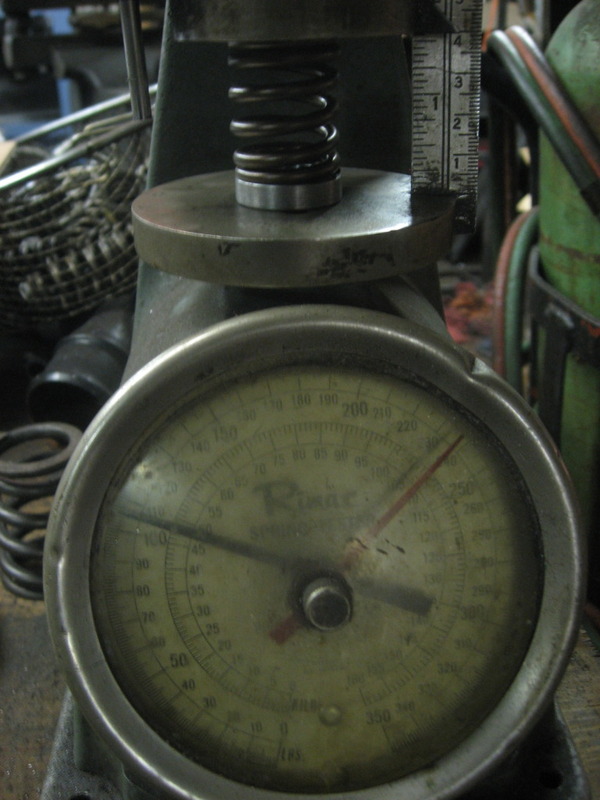 Don't you want to have just the right amount of spring compression for your application? I have seen too many motors with springs way too big for a particular application, throwing horsepower away. Another question, can't too much seat pressure put unnecessary strain on the camshaft causing accelerated wear to the lobes? At what point is too much seat pressure undesirable? Something tells me that you don't want to go too stiff, or you'll be putting excessive wear/tear on your valvetrain and/or throwing away power. True, the more info I have, the better understanding of what I am working on. Thats what brought me to this foum in the first place. "Now you know, and knowing is half the battle!" Not at this time, this is a set up that I am working on with BC. 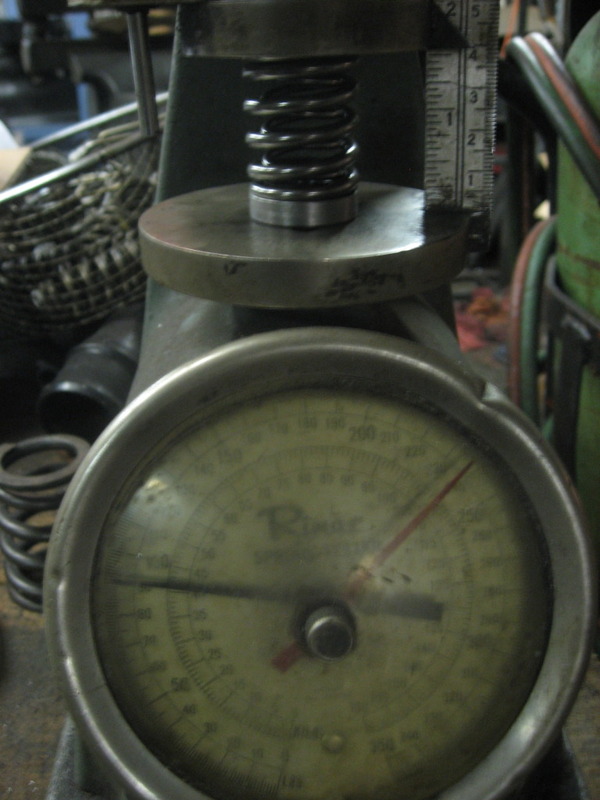 Honestly, I tend to be a tad heavy with spring pressures. The springs first job is to keep the valve in contact with the cam, nasty things happen when it fails at that job. Ramp rates and cam lift, have to be taken into account, along with boost pressure. 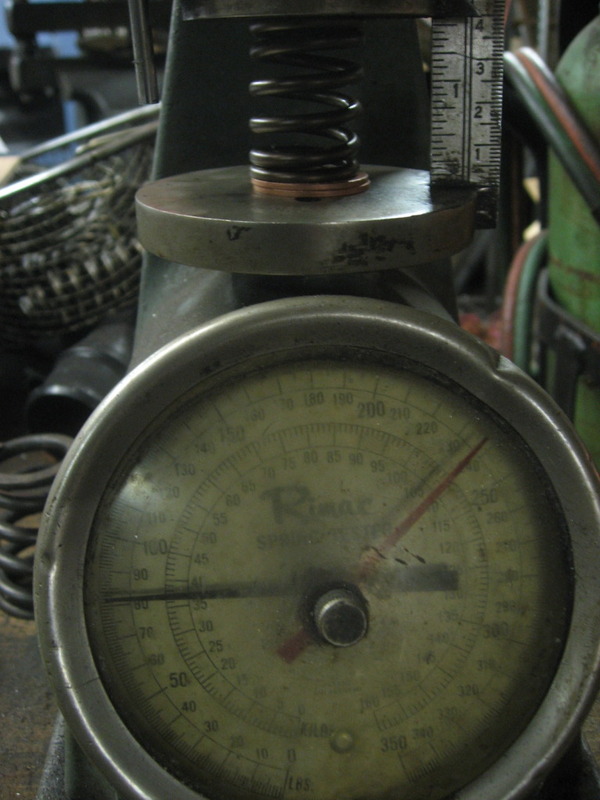 Also you have to allow for wear on the spring, after a season of track use,or a year or two of "fun" street use, the seat pressure will be a bit lower than new spring. I do not know a fourmula for figuring spring pressures, it boils down to the head builders experiances. But you are correct, they can get too heavy and cost HP, or be too light and cost HP and/or damage. Please let me know ASAP when I can buy these BC springs for $125ish, I'll take a set! 18psi...A stock engine is NA, so it operates in a vacuume, springtions do not have to be as much as a Turbo engine. When you add boost, the spring now has to hold the valve closed against the boost pressure. With a stock 1.8 intake valve, there is appox 1 sq/in. So the first thing you do is subtract boost pressure from spring seat pressure. So with 18psi of boost, and 70lbs on the seat ( ST single if dropped in) leaves 52lbs of spring pressure to keep control of valve motion with the cam. 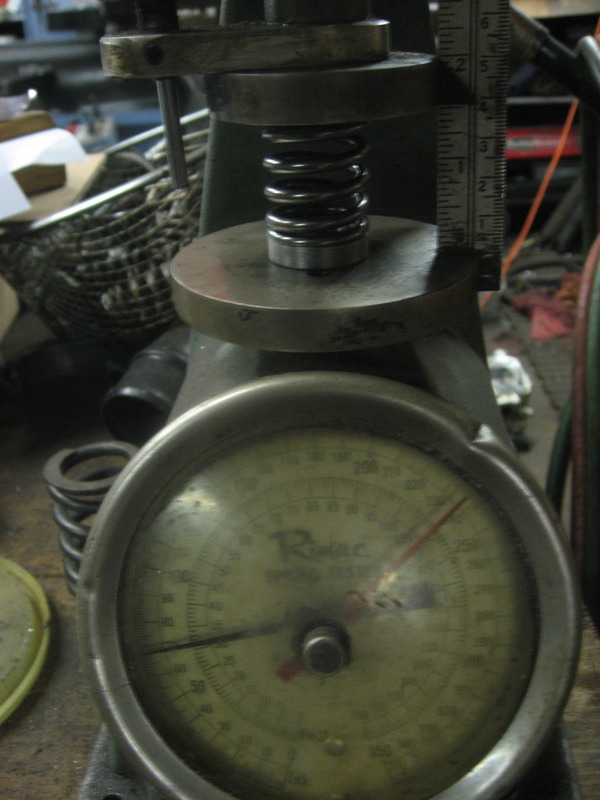 Factory spring is 43, so you have 9lbs more than stock. Efini, Once I am happy with the set up, and get back with BC on them. I will let you know. Interestingly, I never though to account for boost pressure trying to keep the valves open. 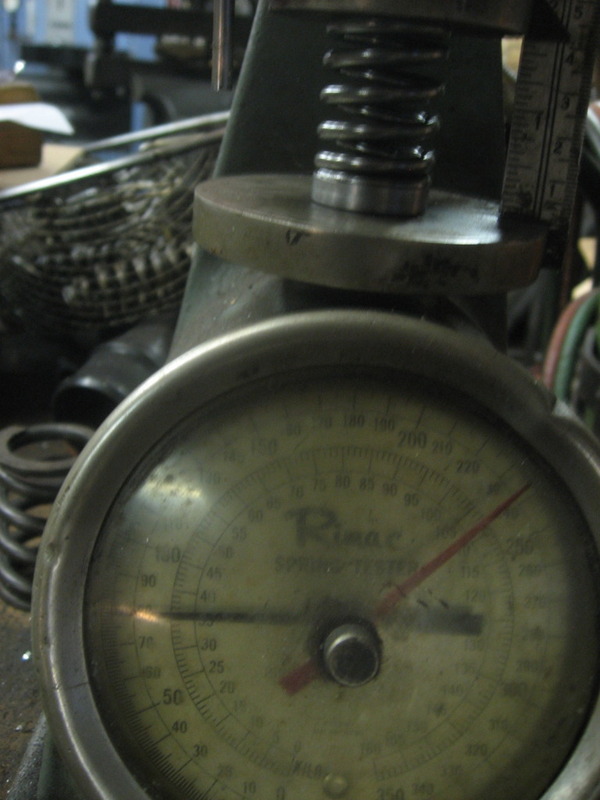 I always wondered about others having issues with valve float, when I was running the same valvetrain at a higher rpm. Them being turboed and mine N/A. Ok. I have been using the Sealed Power ZVS855's. They are about $61 from Summit Racing. At 1.56" installed height they have roughly 66lbs seat pressure and work with the stock retainers and keepers. Just interested if these are a better option. When is there less pressure inside the cylinder than there is in the intake manifold and you want the valve to be shut? During compression, power, and exhaust strokes there should be more pressure in the cylinder, right? During intake, the valve is open. Or is it just for the brief transition periods around overlap/etc? Exactly what I was going to ask next. So what you're saying is... backpressure from the exhaust manifold or intake manifold can apply pressure pushing the valve in, while at the same time having it beat on my the CAMs causing it to float and turn effectively into a torch, burning the exhaust valves, yes?